Farmersgirl Kitchen: Home and Freezer Digest - an enduring legacy! Every now and then, I get another comment or request on the post I did about Home and Freezer Digest back in November 2009. Home and Freezer Digest was one of the few cooking magazines available in the early 1980s and I did have many copies and, indeed, had the binders for them as well. However, pre-blog I gave them away to a charity shop keeping only the December 1988 copy and three of the special 'books' that I purchased from them. 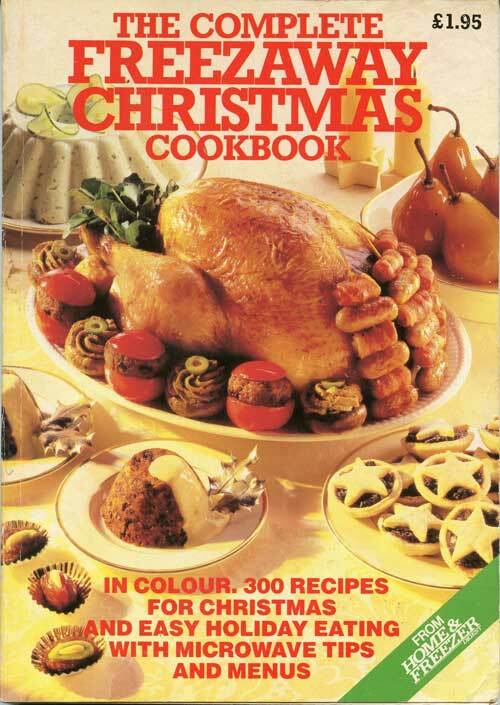 Only the 100 Best Apple Recipes seems to have a publication date, which was 1981, so I'm assuming that, as it was 75p, it came first, followed by Christmas from the Freezer at £1 and finally, at the huge price of £1.95, The Complete Freezeaway Christmas Cookbook. 1. Peel, core and slice apples. Cook genlty without water, stirring to pulp them. Cool. 2. Add dried fruits to all other ingredients, then stir in apple. Mix well. 3. Put into rigid containers. Keep 3-4 days in fridge to 'mature'. To freeze: seal and label. Use within 3 months. To serve from freezer: thaw overnight at room temperature. Anyone who is seeking copies of Home and Freezer Digest would be advised to have a look on Ebay as there always seem to be a few copies of both the magazines and the little books available at pretty reasonable prices. 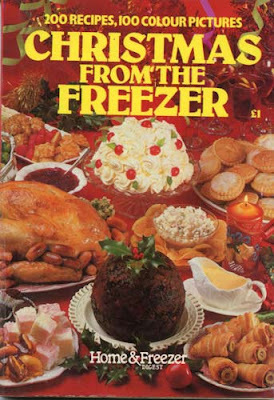 My mother had that 'Complete Freezeaway Christmas' - I'm going to HAVE to hunt for one on Ebay now!! Hope you find it Sarah! I used to love that magazine too. 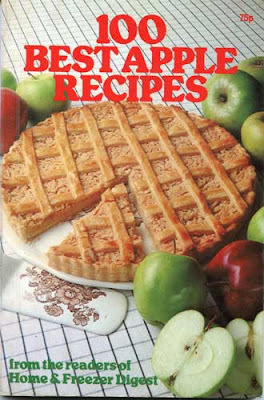 In fact I have several scrapbooks full of recipes cut out of it and many of our long standing family favourites first appeared in it. We had that booklet in the 70s. There was a recipe for ginger hollows. Biscuits that cooked with a hollow centre. They were delicious. I stumbled across your blog whilst searching, in vain, for the "Home & Freezer Digest" recipe for Cranberry Relish. I have been making it all this time but am currently in Qatar and cannot find my copied recipe! I know exactly where my binders are at home but everyone is away for Christmas already. Can anyone help? Put all ingredients in a saucpan, cover an simmer for about 15 minutes until berries are tender. Serve hot or cold. Heat sugar in water slowly till dissolved stir in rind and juice and boil 5 mins. Add cranberries and simmer gently for about 10 mins till berries burst. Serve hot. Thanks for your time and trouble, Janice. My mum still uses recipes from some of her very old books on a regular basis - latest to be used was the Sainsbury's Freezer Cookbook which contains her chicken liver pate recipe! Is the brandy butter recipe in the "Christmas from the freezer" cook book. I remember using it & everyone loved it as it was entirely different from the usual brandy butter. Do you have the recipes for stuffings that were in Christmas From The Freezer . I had a new kitchen fitted last year and hsve lost my copy of the cookbook. 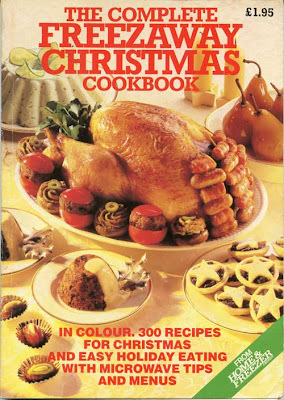 I have tried most of the christmas recipes over the years and am so unhappy that the book has got lost. If you email me farmersgirlkitchen@gmail.com I'll scan and send them to you. If you want a copy of the book, try eBay I've seen copies there.